Mark's Tickets is the best place to find tickets for Eric Church fans. Just check this page for any new events or schedule updates throughout the year. We sell tickets to every Eric Church concert around the world. We know how passionate Eric Church fans can be about country music, so we make sure to have hundreds of tickets for every concert available right up until showtime. For those looking for cheap Eric Church tickets, we offer tickets starting at very low prices (many times below face value). We offer tickets in most sections of every venue that Eric Church performs. Simply choose the city or venue that you are interested in below, and you will be able to see all of the available seats. Do not forget that Marks Tickets also specializes in sold out Eric Church tickets. No longer will sold out shows prevent you from seeing Eric Church. 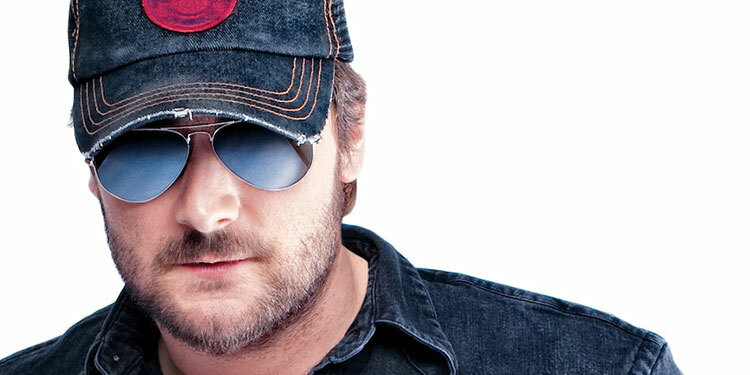 Kenneth Eric Church (born May 3, 1977) is an American country music singer-songwriter. Signed to Capitol Records in 2002, his debut album Sinners Like Me produced four singles on the Billboard country chart, including the Top 20 hits "How 'Bout You," "Two Pink Lines," and "Guys Like Me." His second album, 2009's Carolina, produced three more singles: "Smoke a Little Smoke" and his first Top 10 hits, "Love Your Love the Most" and "Hell on the Heart." 2011's Chief, his first No. 1 album, includes the singles "Homeboy," "Drink in My Hand," which became his first No. 1 single in January 2012, and "Springsteen," which became his second No. 1 single in June 2012.